Like most people, I traveled to Breckenridge, CO, the first time for the skiing. Like most people, I traveled to Breckenridge, CO, the first time for the skiing. And although the skiing is fantastic, it's not what's kept me going back multiple times a year for the past five years. In fact, I spend far more time in Breck now when the slopes are closed for the season. So what keeps me coming back? It's the people and the unique culture they've created in this small town high up in the Rockies. 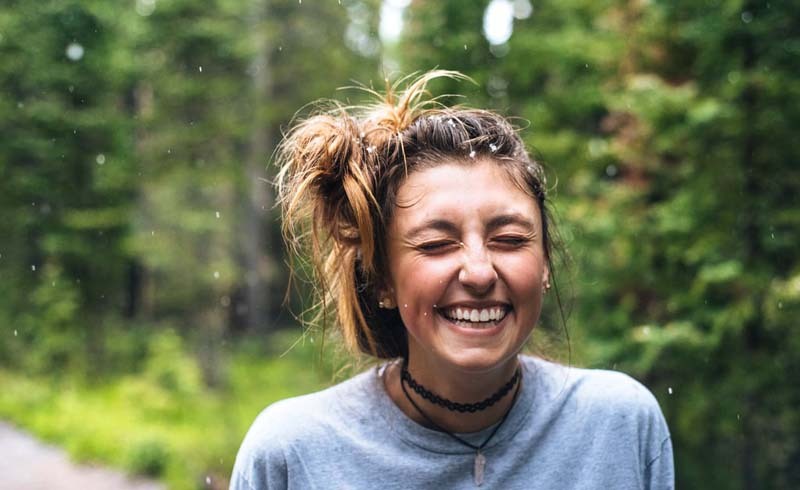 Whether I'm living the laptop lifestyle and working from Breck between hikes or simply hanging with friends and enjoying craft cocktails and beers on outdoor decks, I've never been anywhere with so many chill, laid-back young people. 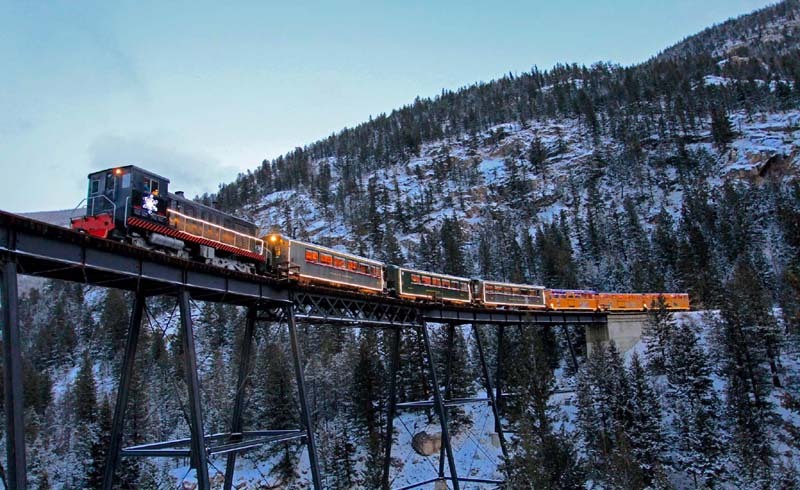 Here's why Breckenridge should be next on your 2019 travel stops. No matter the size of your group or your budget, there's somewhere for you to stay in Breckenridge. From affordable Airbnbs to luxury condos and houses with bedrooms numbering in the double digits, there's truly something for everyone here. If you're looking for a sizable place that's walking distance to Main Street, I recently stayed in The Bogart House with four friends. Each having our own bedroom that was the equivalent of a master suite was only bested by the heated floors throughout the house. Because who wants to get out of bed in the middle of the night and put their feet on cold tiles, am I right? 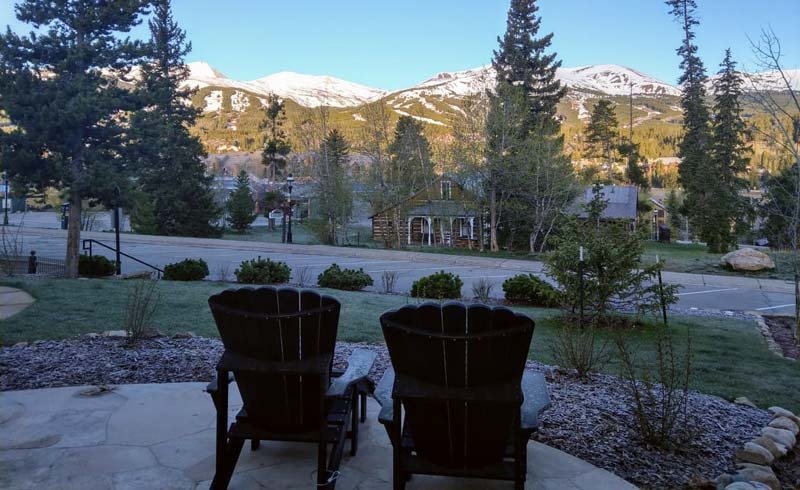 My first visit to town involved a deeply discounted stay at the Grand Timber Lodge that included a preview of the Grand Colorado on Peak 8. I left with a timeshare — excuse me, fractional vacation ownership, as they like to call it. I now stay in a luxury ski-in/ski-out condo every Spring in Breck. Craziest and best decision I've ever made, but that's a story for another day. 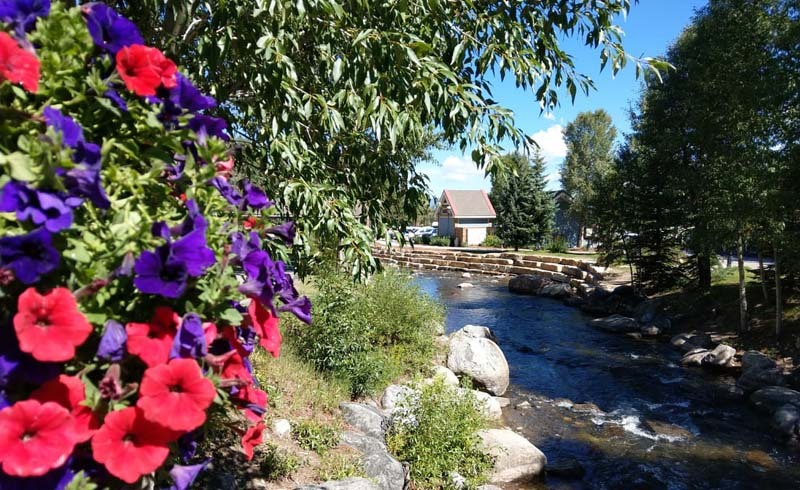 I'm also partial to Breck because of its easy accessibility and walkability. From virtually anywhere you stay in town, you can catch a free shuttle that will get you to anything you'd want to eat, drink, see, or do. And from a huge percentage of rentals, you can simply walk. Even if you're up at the ski area, there's a gondola that goes down into town. 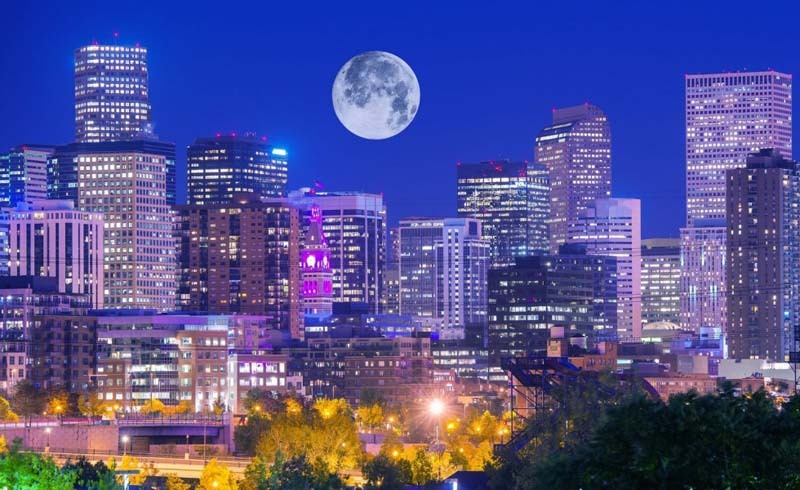 If you don't want to rent a car to drive in from the airport in Denver, all you have to do is take one of the many shuttle services. Once you get to Breck, you won't need a car. Ski, snowboard, hike, bike, kayak, paddleboard — if you can do it outdoors, you can probably do it here at some time during the year. 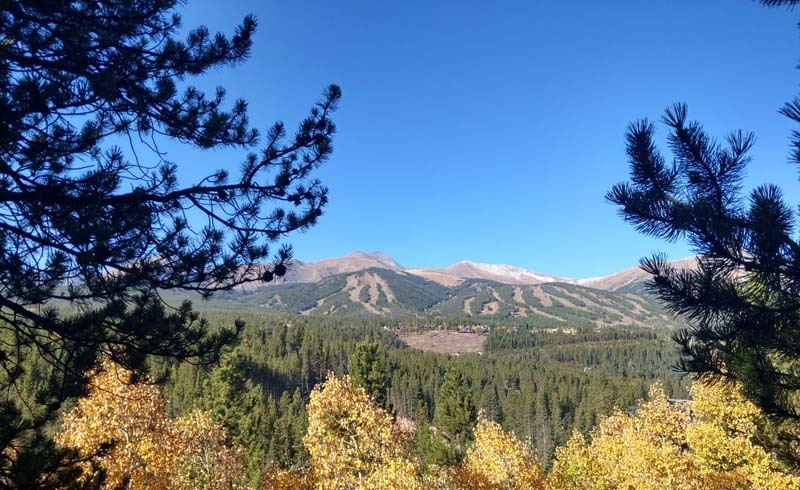 While there's a lot to be said for Breck as a ski destination, including its proximity to other ski areas like Keystone, Arapahoe Basin, and Copper Mountain, people come for the Winter and stay for the Summer, as the saying goes. There are hiking trails out the back door of almost anywhere you stay in town. Whether you're taking your first hike and looking to stay on flat ground and snap a selfie or looking to conquer your first 14er (a nickname for the peaks at 14,000-plus feet above sea level in Colorado), hiking is available to anyone at any level here. Looking to combine outdoor activity with a sampling of some of the area's local spirits? Check out Ridden's fat bike tour, which hits the highlights downtown before taking you out to a local brewery and a local distillery. 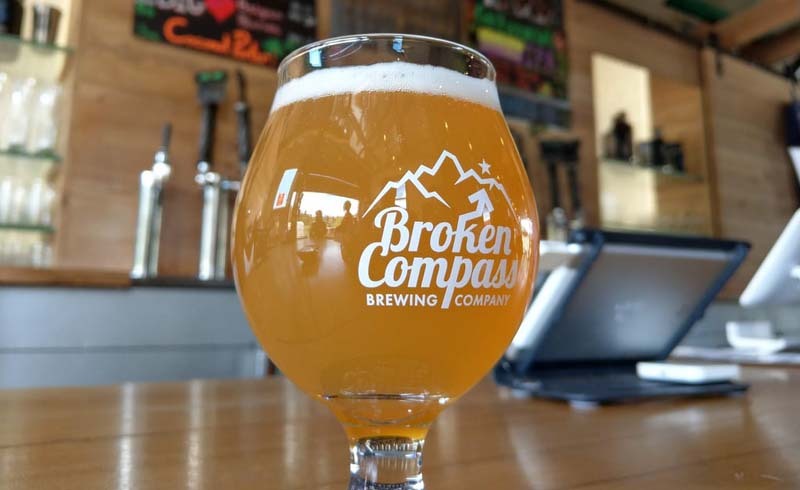 I'm partial to the fat bike tour because it hits two of my very favorite establishments in Breckenridge: Broken Compass Brewery and Breckenridge Distillery. You honestly can't get Broken Compass beers anywhere else. The only place they're distributed outside of Breckenridge is a little pizza place in Denver that comes all the way out here just to fill its kegs itself. Try the Chili Pepper Ale, which is made from five different kinds of peppers the owner roasts at home himself, or the Coconut Porter, made from 400 pounds of coconut per batch that the brewery toasts by hand. 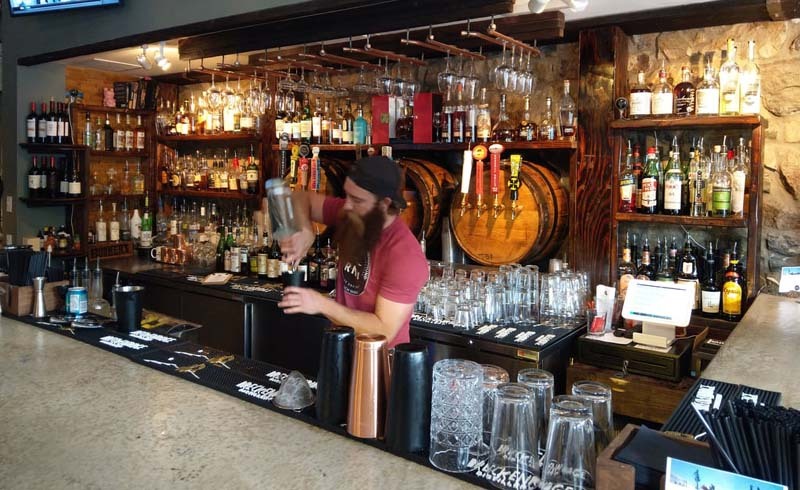 And while I'm positive you'll enjoy a distillery tour at Breckenridge Distillery and enjoy sampling its whiskey, rum, vodka, and gin, I also recommend staying for dinner. From the handmade pastas to Chef David Burke's patented 40-day dry-age-process steaks, there's not a bad thing on the menu. Speaking of food, one of the best things about Breckenridge is that it's almost completely devoid of chain restaurants. Only Subway sneaked in. And don't worry — there's a Starbucks, if that's something you can't live without (but seriously, try the excellent local coffee shops). For the budget-conscious, plan to eat early. Especially in the Summer, Breck restaurants have fantastic happy hour food and drink menus. 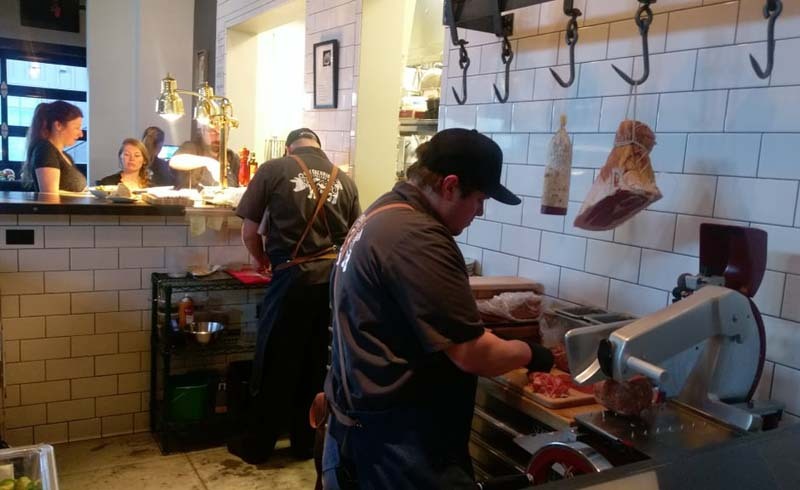 My personal favorites are Briar Rose, which has terrific deals in its bar area during happy hour, Breckenridge Tap House for tacos and craft beer, Giampetro Pizza for — you guessed it — pizza, Ember for date night, and Mi Casa for margaritas and cheese dip. If you live the laptop lifestyle like me, you can easily work from Breck between runs on the slopes or after a morning hike. 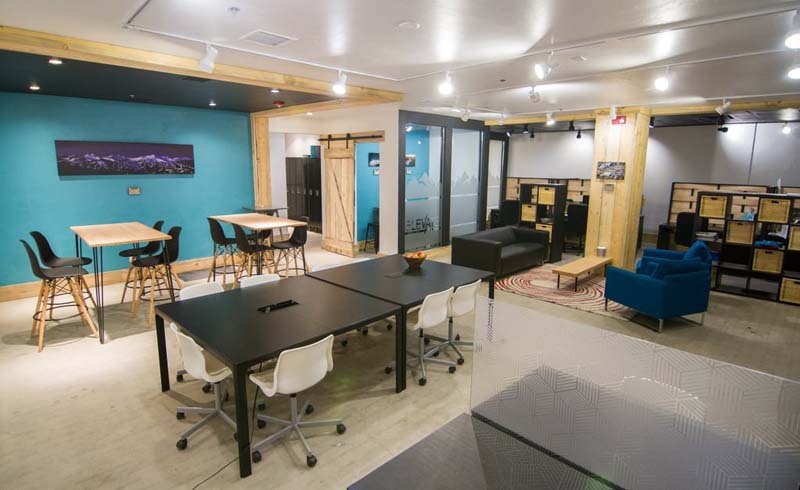 In addition to snagging a table in a local coffee shop, check out coworking space Elevate right on Main Street. It also hosts a number of events and speakers throughout the year, so be sure to check out its schedule while you're in town. Many a business in Breck was started by someone who came to work a ski season and never left — or a local who wanted to ensure they never had to leave. One of my favorite local businesses is Rocky Mountain Underground, or RMU. North America's first taproom and ski shop combo, RMU started in a garage hand-making custom skis. Today, it's grown to 25 staff members and has received international media attention for its award-winning skis. Stop in for a craft cocktail (which it's also very talented at making) and maybe you'll go home with a new pair of skis. Whether you're an experienced artist or photographer or a wannabe newbie, the art scene in Breckenridge can't be missed. From metalsmithing and glassblowing classes to creative writing and ceramics, there are opportunities every day to cultivate your creative side. Wander the arts district, shop the art galleries downtown, take a class, or attend one of the many art festivals hosted in Breck. The abundance of things to do in Breck notwithstanding, the true difference-maker here is the people. It's a young town — from the young in age to the young at heart — with a chill vibe. Go: take your dog, sit on a patio somewhere, drink a craft beverage, and just take it all in. You'll feel like a local in no time.